Somehow the receptacle for the controller became distorted and so I just ignored it for a few years. 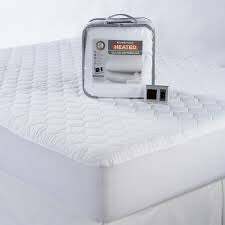 But as cold weather started to hit this year I decided to see if I could get this heated mattress pad working again. A quick squeeze with the pliers got it back into shape and it seems to still be functional. Not all of the elements work, but the ones immediately under me do, and that’s what’s important.